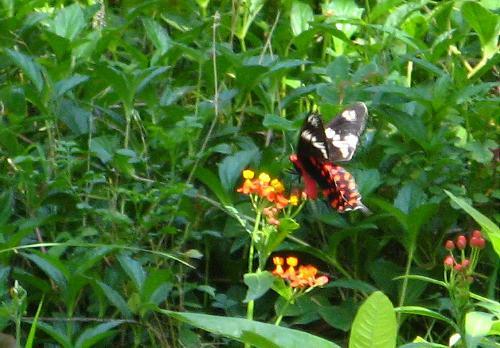 I wasn't able to get very good pictures of this mobile butterfly, though I saw plenty of them in Mysore. 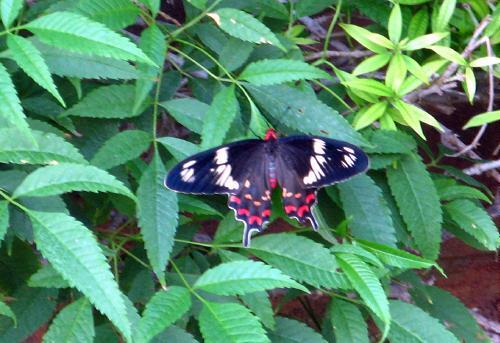 A characteristic of the species, which separates if from its mimic, the female of the common mormon (Papilio polytes), is its bright red body. It was resting in the shade shortly before the evening fell but once disturbed it flew off, not to return.